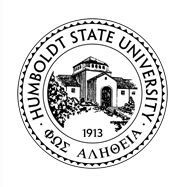 A guild of university trustees, faculty bigwigs and community members — including one student rep — has assembled to choose Humboldt State University’s next president. Rollin Richmond, who has held the position since 2002, will leave at the end of the coming spring semester. The “Committee for the Selection of the President” — tasked with reviewing applications and interviewing candidates for the university's top job — meets for the first time on Monday. There will be an open forum from 10 a.m. to noon in the Van Duzer Theater followed by a closed-doors session. The committee is made up of five California State University trustees and CSU Chancellor Timothy White. Committee head J. Lawrence Norton also selected an advisory committee — per board policy — to help pick a new prez. Want to apply for Rollin's job? Read the position description here.